All Nancy Larson Homeschool Science levels are designed for age bands rather than grade levels. This promotes combining multiple children and ages together. All of the preparation is done, and the science materials are provided for the hands on activities. This makes is easy to teach, and serious science that’s fun to learn. Science 1 is recommended for ages 6-8, and teaches the inter-relatedness of all living things. Children are scientists, and complete the tasks as scientists do. Enjoy these stories parents share. We hope they will help answer your questions and show why families love Nancy Larson Science. This year I waited for on our science curriculum for three of my children. Recently, we added Nancy Larson Science for my children ages 7, 9, and 11. My children are so excited to add Nancy Larson Science to their homeschooling week! I love Nancy Larson Science because it is so easy to add in. The lessons are all mapped out for you as a parent. Nancy Larson Science fits right in with our family. Read more of Kris’s ideas for adding curriculum. Christy writes. “I’ve researched Nancy Larson’s approach for some time and just knew it would be a good fit for us. Owen had been eyeing the box for a week and it was driving him crazy. Our first lessons are on the life stages of humans. Read more of Christy’s first impressions, What’s in the box? 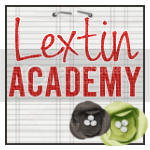 Lexi writes, “It’s hard to know what curriculum will work best for your children. When I’m traveling from one homeschool conference to another, exhibiting our programs, Science K, 1, 2, 3, and 4, I am thrilled when parents rush up to me and say, “We LOVE Nancy Larson Science®.Please thank Nancy for writing such amazing programs!” Sometimes it’s hard to verbalize why the programs work so well, and why parents love them. Read Lexi’s 10 Reasons I Like Nancy Larson® Science . The target age-level is ages 5–8 years (note: the levels do not necessarily correspond to grade levels. It contains everything I need—from books, student booklets, specimens to examine, picture cards, and more. It is scripted. Normally I don’t care if things are scripted because I’m good at coming up with things on the fly, but right now I need something easy that doesn’t require much prep work from me due to my current workload. Everything is already planned. It combines science with language arts. It is created to reach multiple learning styles: auditory, visual, and kinesthetic. It introduces several themes: Describing the Life Stages of Human Beings; Observing Trees; Exploring Sunlight, Water, and Soil; Investigating Animals and Their Habitats; Discovering What Is Inside of Our Bodies; Examining the Characteristics and Life Cycles of Insects. Read her complete post. When the box came to the door from Nancy Larson Science, it marked the day that my son was officially ready for homeschool to start. He was so excited to see the x-rays, the ladybug house, and the tree section. He was even excited about the books, because they were science books and not “some boring story book.” As a homeschooling mama, I couldn’t have been happier.